New Products in time for Spring! The EasyPress Mat Hand Held Rotary Cutter! 50 New precut Iron on designs! There is more to come! More to come! Stay tuned and grab some of these items now. *Only one code per account will be sent. Codes will be sent out within three business days. 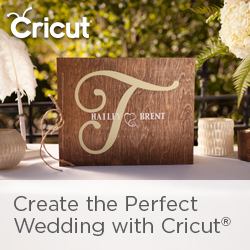 Codes are only valid on Cricut.com for a single transaction and cannot be stacked with other offers or promo codes. Codes cannot be used within Design Space®. Codes are not valid for Cricut Access™ products. Promo codes expire May 31, 2018. **Excludes bulk, bundles and new items.